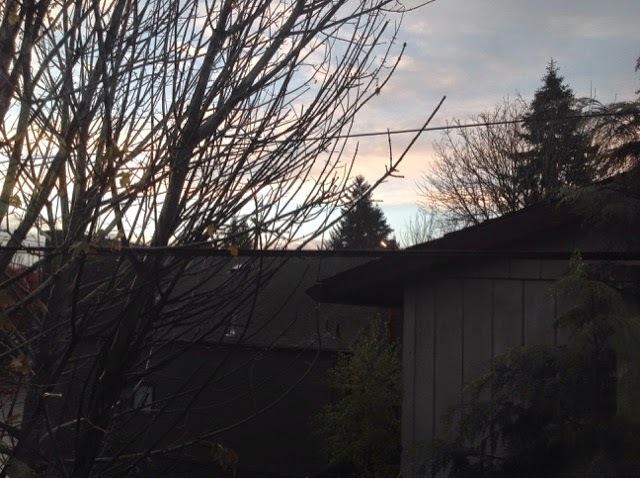 Today in Portland the rain has stopped and there is a hint of blue sky over the roof tops -- at least for now. Sitting in this little condo that I bought with my sister and brother-in-law, I have a few moments to myself before going off to take my mother to see my father. His condition is improving, and he will be moved out of the hospital today. So many things to be thankful for right this moment.